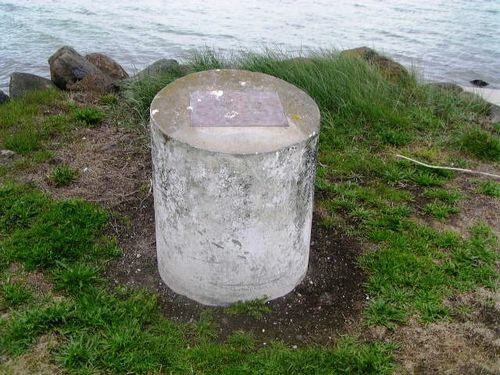 A monument commemorates the first air crossing of Bass Strait from Stanley by Lieutenant Long in 1919. After having been forced to return to Stanley, which he left on Monday, on account or a heavy northwind, Lieutenant Arthur Long, the Tasmanian airman, resumed his flight this morning at 6.30am, and arrived at Port Melbourne four hours later. He is thus the first aviator to fly across Bass Strait .The distance is about 200 miles. After making two wide circles over the city, he alighted on Fishermen's Bend alongside Mr. R.G. Carey's aerodrome . It was stated this afternoon that the axle of the machine was greatly damaged when it landed at Torquay, and that repairs would be effected at the aerodrome before Lieutenant Long returned to Tasmania. Riverine Herald (Echuca, Vic. : Moama, NSW ), 17th December 1919. Donated by A.N.Z. Banking Group Ltd.